DrFumblefinger shares photos of some of the people he saw while watching the flag lowering Ceremony at this India-Pakistan border crossing. Jonathan L shares photos of New York at night, when the familiar becomes different and new things become visible. Disney hits 4 spots on the '10-most-Instagrammed attractions' list. See where else is popular! Paul Hunter shares some of the visual treasures of a visit to the abandoned hamlet of Whorlton in the North York Moors National Park. In this installment, PortMoresby takes us to the colorful water-formed Mammoth Terraces, with some of the most spectacular views. PortMoresby discovers Yellowstone’s Grand Prismatic Pool, a contender for the world’s most beautiful place. After spending the morning at its neighbor, Hidcote Manor Garden, PortMoresby moves on to another award-winning Cotswold garden, Kiftsgate Court. At the New York Botanical Gardens, Jonathan L explores an exhibit focused on Japanese techniques for growing and training chrysanthemums. With a week to spend in the Cotswolds, PortMoresby returns to a place she’s been before, Hidcote Manor Garden in Gloucestershire. Ian Cook shares a series of photos snapped during take off, gliding, and landing his glider in Northumberland. While strolling the streets of New York, Jonathan came across this colorful parade. Atop the Pasterze Glacier, Grossglockner, Austria. Ian Cook visits and shares great images of the beautiful but receding Pasterze Glacier, Grossglockner, Austria. Spring Images - North Yorkshire. A gallery of recent spring images from North Yorkshire. 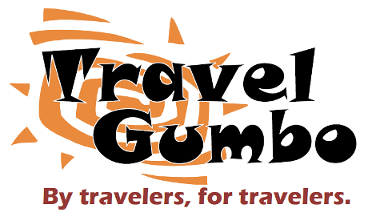 Gumbo thanks our contributors for submitting some of the best travel blogs and photos anywhere.